Resilient is often used to describe military children, but who they really are is so much more complex. Our kids are strong in the most difficult circumstances, handle change with a courage that many adults strive for, and are able to adjust to most any situation in short order. In fact, military kids are true warriors. By wearing purple during April, Month of the Military Child, we get to honor and show support for the sacrifices and strength military kids show us each and every day. Additionally, Purple Up! 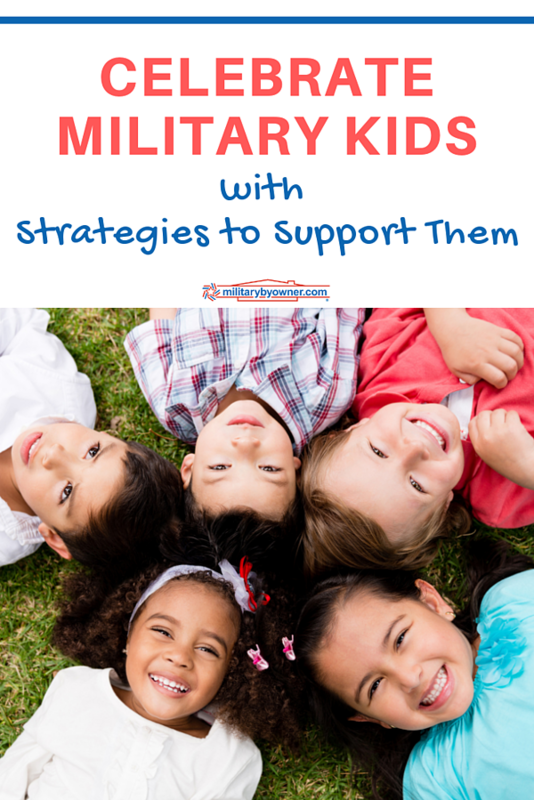 For Military Kids is a reminder to stop and reflect on all that our milkids are doing right and build up our tool kits with strategies to support them throughout the year if things go sideways. From the moment we hold our children in our arms we are acutely aware of our responsibility for their mental, physical, and emotional well-being. When they're babies, it’s simple (notice I didn’t say easy). If they are hungry, we feed them; sick, we nurture them back to health. If they are hurting, we kiss it and make it all better. But things are different when they grow up. Add the military lifestyle into the mix, and complex becomes par for the course. New locations, new situations, new friendships, not to mention the many unexpected challenges, are all part of a military child's experience. An experience they handle with a courage and wisdom way beyond their years. Let’s face it, military life is all change, and Purple UP! Day is the perfect time to talk about the reality of our children’s lives: the good, the bad, and the ugly. Just like the newest ride at your favorite theme park, our lives are filled with ups and downs, twists and turns, and exhilarating moments that leave us wanting to do it all over again. It’s exciting that our kids have opportunities that the average person does not. Opportunities that make them strong and prepare them for adulthood in so many unique ways. Milkids are exposed to many new places and cultures cultivating an appreciation for new traditions, cuisines, and ways of living. Military life provides unique opportunities to learn about and experience people from different countries, states, and regions around the world. Our kids learn to adapt quickly to things beyond their control. Military kids have a patriotism and can appreciate having a purpose beyond their inner circle. Their perspective is one of adventure and awe with every new experience. Most importantly, our children are survivors. They are strong, resourceful, able to compromise, and have a strong sense of self. Resilient? Oh, so much more complex than that. When my children became part of the military community, I found myself wondering if they were going to be ok. I questioned if - no, strike that – how, our military life would take its toll. I wondered what was really going on inside their heads each time military life impacted their existence. No one ever gave me a "how to parent a milkid" rule book, so I played it by ear. And I often got it wrong. Despite all the positive influence that I could see and hold onto, I know that this lifestyle impacts them in ways that are difficult to handle. This life brings with it a sense of fear, uncertainty, and stress. At times, our kids will become hesitant to engage in their new schools, knowing they will have to move again in short order. It can be hard to form deep friendships or keep in touch with the people they care about. As a parent, it will be hard to watch the disappointment when their service member is absent for many of the important moments in their lives. I wish I could say that there wasn’t ugliness in military life, but we all know that isn’t true. Our kids are exposed to the reality of danger, death, mental and behavioral health issues, and so much more, and they need healthy coping strategies. The best way to support is by teaching them strategies that are simple to use and help them manage specific situations or need to deal with feelings that become overwhelming. Foundational Strategies are the things they can do every day to make sure their physical body works properly. Things like healthy food, enough water, and a good night’s sleep are key to your child’s ability to thrive. When we feel good physically, we can handle the ups and downs of military life so much easier. Trigger Strategies are the strategies we use when something goes wrong in a moment, an action our kids can take when they feel a rise in their stress levels or emotions that has been triggered by something they have no control over (PCS, deployment, TDY, etc.). Flex their imagination. Teach your child to Imagine themselves lying on the grass watching the clouds float across the sky. Let each cloud be one of your thoughts or fears and simply watch them float away. Grounding technique. Share the simple strategy of stopping everything to focus on naming five things you hear, four things you feel, three things you see, two things you smell, and one thing you taste. It will ground your child, releasing stress and anxiety in the moment. Crisis Strategies are used at the times when things happen and we don’t have the tools or the capability to handle them ourselves. Just like you go to a mechanic when your engine seizes up, our kids need to know that you don’t expect them to handle things on their own and that you will get them help should the need arise. I recommend creating a crisis strategy for the entire family so that everyone knows what to do when things feel too heavy to handle. Help your child know when they can and should reach out for help. Help them make a list of who they can talk to and be specific. Just knowing that there is a plan will reduce stress and empower our kids when they need it most.